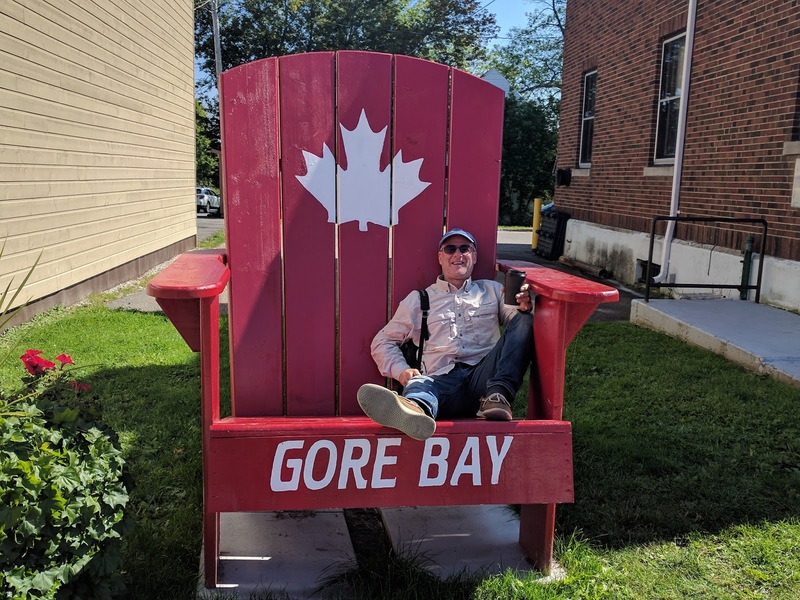 My new found friends from Hotham Harbor offered to take me to Gore Bay just south about 15 miles to look around. 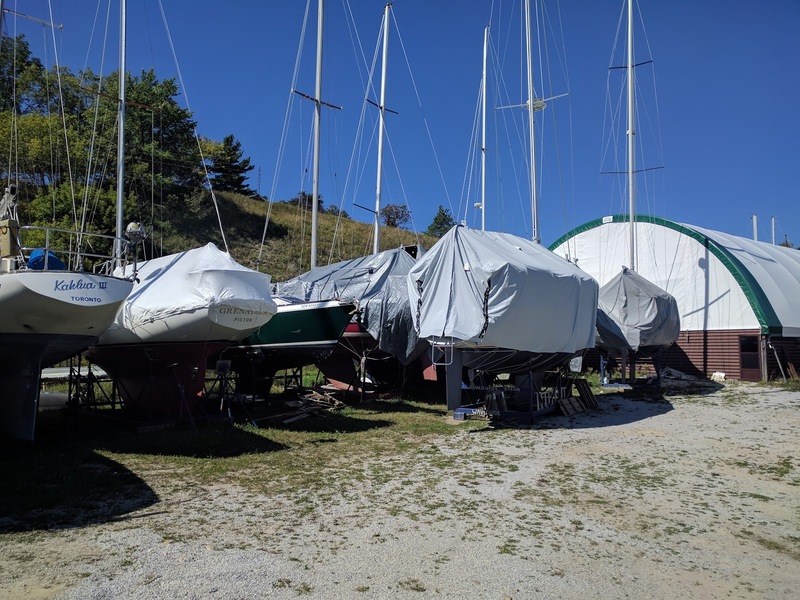 It has the largest charter Boat fleet on the great lakes and is a delightful little town. 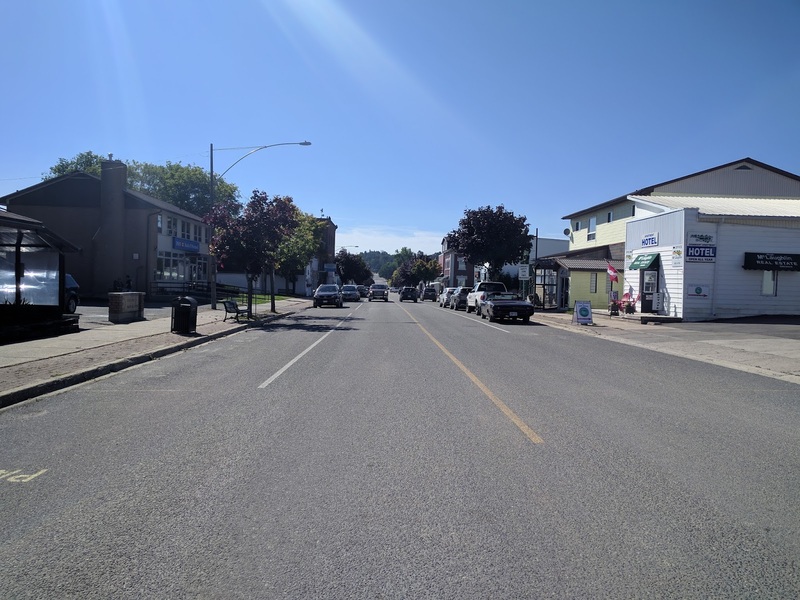 Not as tourist orientated as Little Current and at this time of year, everything is winding down. 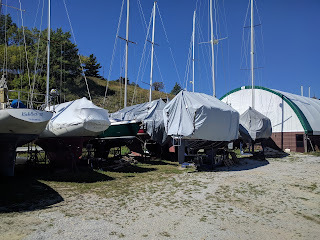 I had a good look at the boats with covers in the dockyard because that is what I am going to have to do to winterize Onapua in a couple of weeks. We had coffee, walked around town and all ate fish and chips for lunch. Norm, Elaine, Bob, Sandy and I together at happy hour. BTW here is another shot of Onapua just as the fog was lifting. I asked Bob how he managed to get by with such poor cell coverage and he showed me his signal amplifier. 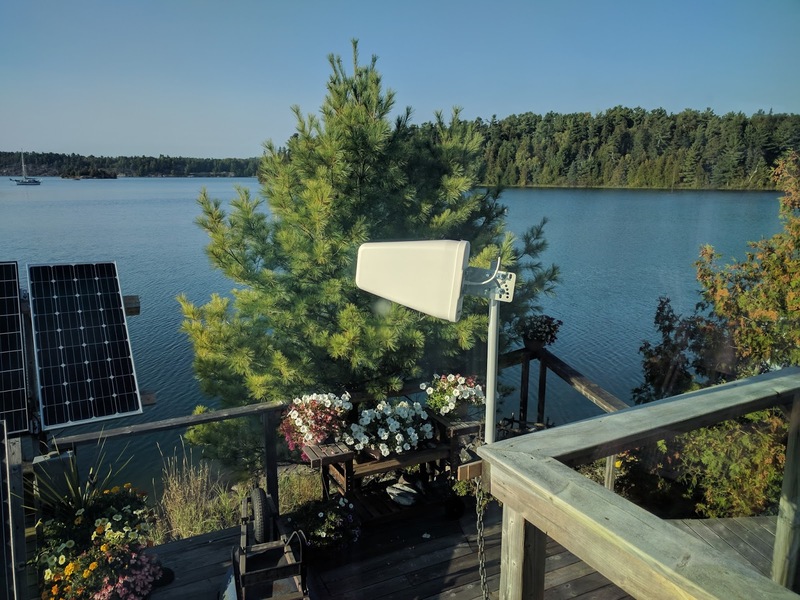 It is pointed at the cell tower and has a coax bnc cable back to a switch inside the house that amplifies the signal. They live off the grid and get their power from 6 solar panels and lead acid batteries. 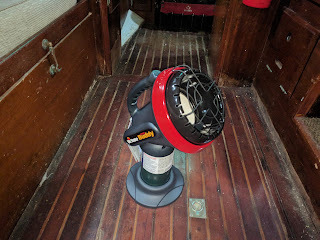 And lastly, I finally found one of those Mr buddy heaters that works off a one pound propane cylinder for warmth inside the boat. 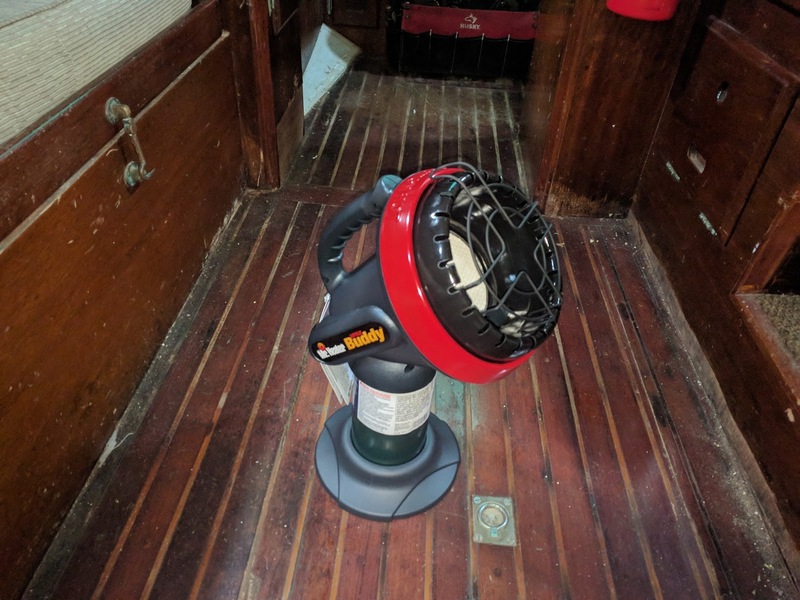 I have to be very careful when using it but I will try to use it sparingly and keep my companionway open. The funny thing is that it has been really warm here over the past few days. Hopefully it will continue. I am off again Westward today with no wind hopefully to make Moiles Harbor.